Trumbo, in theaters now, is about the outspoken blacklisted writer Dalton Trumbo. 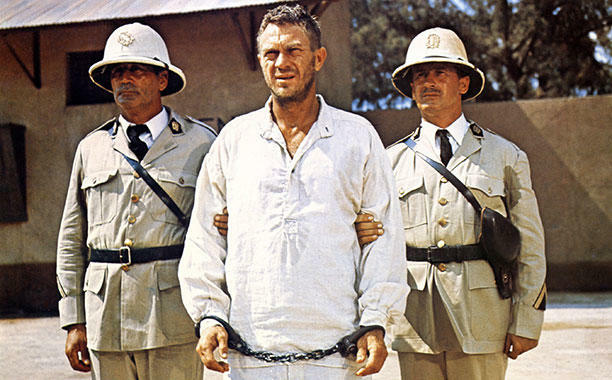 Today’s Saturday Matinee is the Dalton Trumbo-scripted 1973 film Papillon starring the late, oh so great, Steve McQueen as Henri Charierre—aka Papillon for a butterfly tattoo on his chest—an innocent man convicted of murder and sent to Devil’s Island for life and Dustin Hoffman as fellow prisoner Dega. So why bother taking some of your precious Saturday hours to watch the movie? Because seeing those expensive stars together on screen isn’t something you can do everyday. Er, well actually it is, Papillon is available to stream on iTunes, GooglePlay, Amazon, YouTube and Vudu. But seriously ... the film, which was well received by other critics and films fans has grown in stature over the years. There’s a remake in the works and it’s considered to be one of Steve McQueen’s last great roles, The Towering Inferno being one of them. 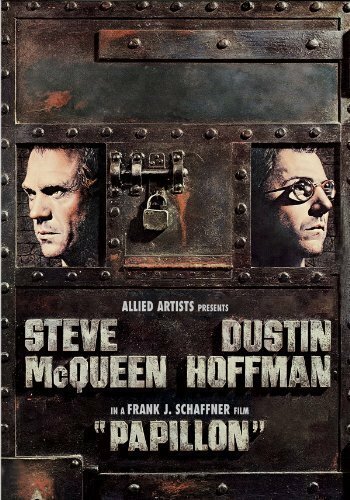 McQueen died 7 years later. 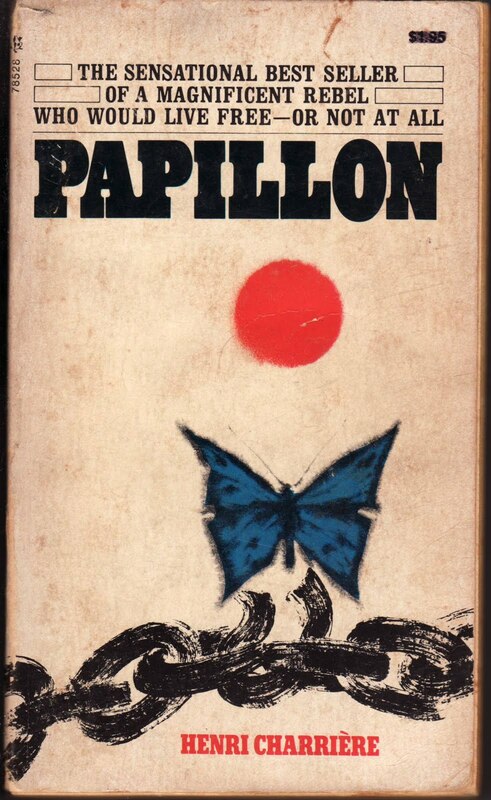 Papillon is also one of Trumbo’s last scripts. 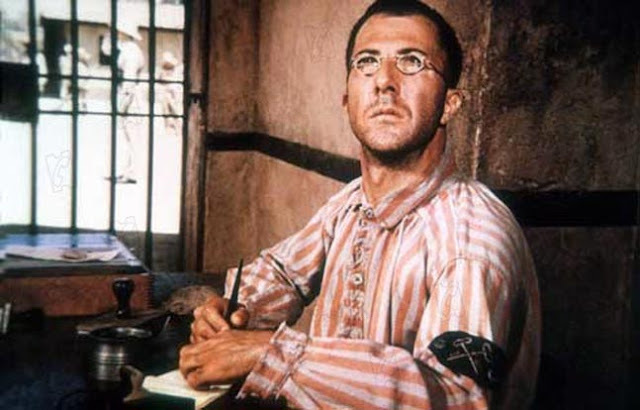 According to the TCM website Trumbo actually appears in the film in a brief cameo as the prison camp commandant. Released in 1973, Papillon was based on the memoir by Henri Charrière. Lorenzo Semple Jr, credited as a co-writer on some other awesome 70’s films like The Parallax View, The Drowning Pool and Three Days of the Condor is also credited for this script. Who wrote what and how much? You’d have to take that up with the WGA. The legendary Jerry Goldsmith received one of his many (18) Oscar nominations for the score.